If there are no dogs in Heaven, then I want to go where they went. Today we said goodbye to Didi, one of our beloved poodle family. Taken suddenly and very unexpectedly while playing in the garden on 22nd May 2018. 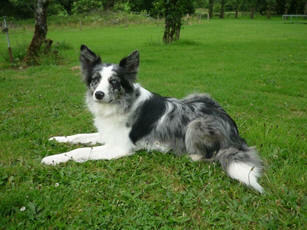 My love for blue merle collies began when I purchased Izzy from a farmer for £80. The only blue merle in the litter, fluffy with semi blue eyes - just wanting to be taken home. She was a little darling from day one and was definitely a mummy’s girl. She came everywhere with me. As an agility dog she was quite consistent and won up to Grade 5. 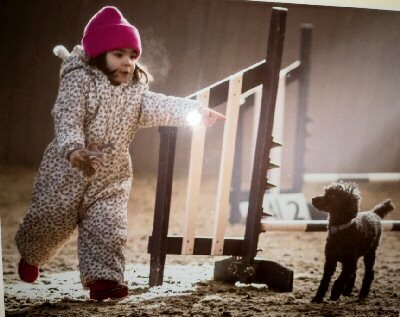 She qualified for Crufts YKC with my daughter Naomi, and they did really well on the day coming 5th. She had an obsession with watching flies, even when there weren’t any. She knew it. I knew it. It’s called OCD. Rest in peace Izzy. watch and chase them flies all day long. For those who saw Bella in her prime, she was something very, very special. Trained and handled expertly by my sister Amanda Ellerton - also occasionally by her husband Ray Ellerton - she scaled the heights by winning at Crufts and Olympia and gaining many, many Grade 7 wins against the Collies. In the twilight of her career, I ran her successfully in AnySize regularly winning despite the tremendous drag factor of me running her! She remains the fastest dog we'll ever own. Bella was a real matriarch but tolerated the young and foolish, too. 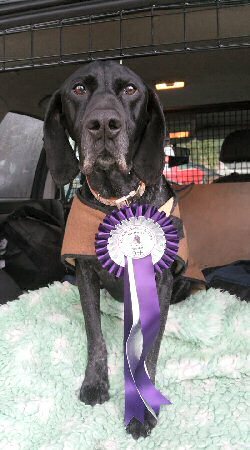 She went over the rainbow bridge at Derbyshire Agility show late Saturday night / early Sunday morning (July 28th) which is rather fitting for the supreme competitor she was. Love you, Bella. You were a total one off. 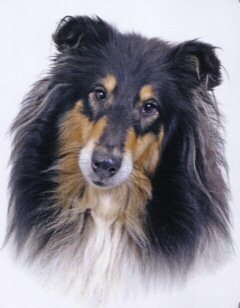 Woody went to Rainbow Bridge on Easter Monday after a short illness. He was eight years old and had only being doing agility for a couple of years. He loved it although he wasn't very good, one 9th place rosette. We spent Easter at Norfolk Easter Show, where he spent the weekend in the caravan which he loved and he got to chase his tennis ball. Gay Tunnicliffe would like her friends at Agilitynet to know that following a short and unexpected illness she has lost Sapphire, her tricoloured Rough Collie. It was so quick that it has been a great upset for Gay and all who knew her. Sapphire loved her agility and won out of Grade 1, ending in Grade 3. 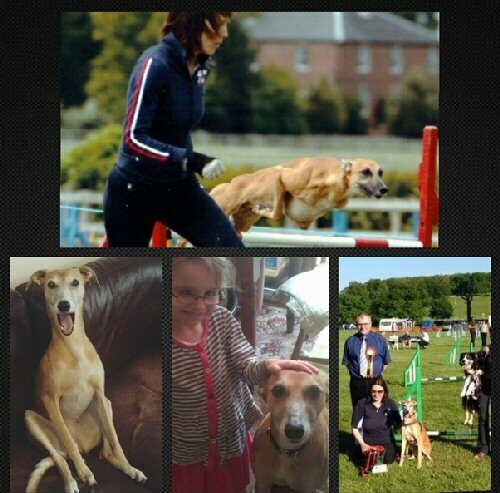 She would often sing/talk to us especially when queuing to enter the ring or whilst doing her weaves at agility. She absolutely loved cheese and would go mad for it, especially in the caravan when we were camping at agility shows. Gay bred Sapphire so is very special. Just this side of heaven is a place called Rainbow Bridge where our much loved pets go when they die. At the Rainbow Bridge, there are beautiful meadows and grassy hills where they can run and play together. There's always plenty of their favourite food to eat, fresh spring water for them to drink, and every day is filled with sunshine. All the pets that had been ill or old are now restored to health and youth. Those that had been hurt or maimed are now whole and strong again, just as we remember them in our dreams of days and times gone by. The pets we loved are happy and content except for one small thing. Each one misses someone very special who was left behind.